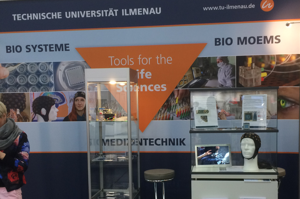 This activity took place on April 22nd 2017 and it was carried out in the framework of the “open doors” of the Ilmenau University of Technology. 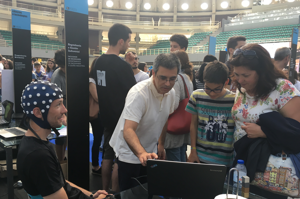 Live demonstration on electroencephalography and online brain activity reconstruction were performed using single dry electrodes and cap prototypes of the ANDREA project. 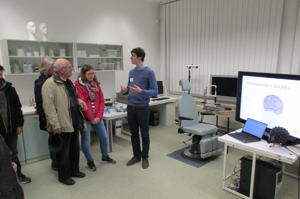 Differences and advantages of the new electrode system were discussed and compared to conventional wet cap systems….